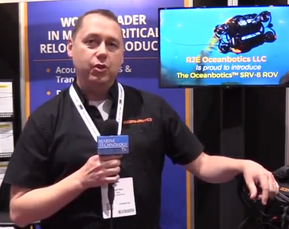 UUV Aquabotix Ltd has added five new distributors to its global network. These partnerships will help support the company’s global expansion and sale of its underwater robotics products, including its Endura ROV (remotely operated vehicle), Integra AUV/ROV (autonomous underwater vehicle/remotely operated vehicle) and AquaLens Connect underwater camera system. To date, Aquabotix has sold more than 400 vehicles in nearly 60 countries worldwide. SBS Teknikk AS, which will represent Aquabotix in Norway, Denmark and Sweden. The Norwegian company specializes in connecting fish farms with smart technology solutions, providing farms with a live underwater view from multiple locations simultaneously. ROMOR Atlantic Ltd., which will represent Aquabotix in Canada. ROMOR distributes oceanographic, offshore oil and gas, geophysical and defense instrumentation from manufacturers around the world. Headquartered in Eastern Canada, ROMOR works with scientists, engineers, government officials, academic institutions and private firms to drive advances in ocean technologies. Aquatech Services, which will represent Aquabotix in Australia and New Zealand. Aquatech is a Perth-based provider of nationally endorsed first aid, oxygen and scuba training solutions and services, with an expert focus in the marine and diving environments. Seismic Asia Pacific Pty. Ltd., which will represent Aquabotix in Australia and New Zealand. Based in Salisbury, Queensland Australia, Seismic Asia Pacific is a leading provider of hydrographic, oceanographic and geophysical systems within Australia and throughout southeast Asia and the Pacific Rim. The company also provides hardware and software equipment and system solutions to local government, defense and resource specific sectors. Hydro Systems Development, Inc., Tokyo branch, which will represent Aquabotix in Japan. Hydro Systems Development, a developer of underwater sensing systems for both the marine and in-land water sectors, supports national hydrographic/oceanographic institutes, universities, governmental authorities and other private companies as customers. The company is the 10th new distributor appointed by Aquabotix within the past four months.